I don’t really have anything to say about this . . . I’m just kind of puzzled and speechless . . . The Seattle Times published an interesting article from an AP writer. In the article he describes Generation Y as a the most knowledgeable generation about food, but yet this generation does not have a more discriminating taste. Basically, Generation Y can enjoy a good fish taco from a truck just as much as perfectly cooked filet mignon (that does sound good, doesn’t it?). Interestingly enough, one commenter says that while 20-somethings now know a lot of food and have tried great varieties of food they can’t truss up a chicken or do a pot roast. One of our members, (see Hawaii Foodie) probably can cook with the best of them. It takes a creative mind, diligence, and a keen sense of taste to come up with a ramen bar with two types of soup stock. 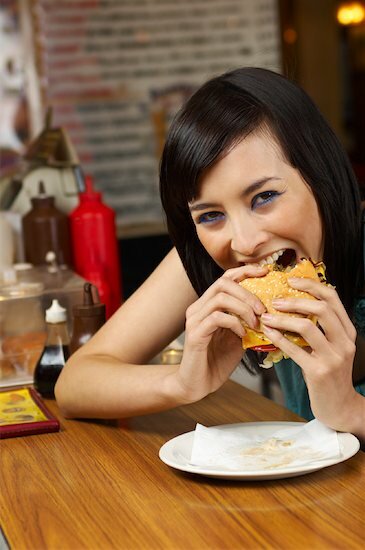 Let's be young and hip while eating a burger! But anyway, back to the article. 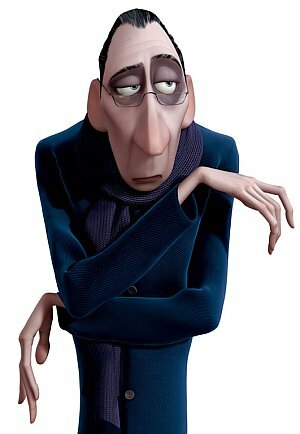 Basically, it makes the point that the “old-guard”, people of taste (or people who can smell their own . . . never mind) feel that this is a bad thing, that the internet food culture combined with young peoples attitudes make them “foodiots.” Others argue it is the “democratization” of food. What do you think? Take our poll or leave comments! Break me off a piece of that green tea? 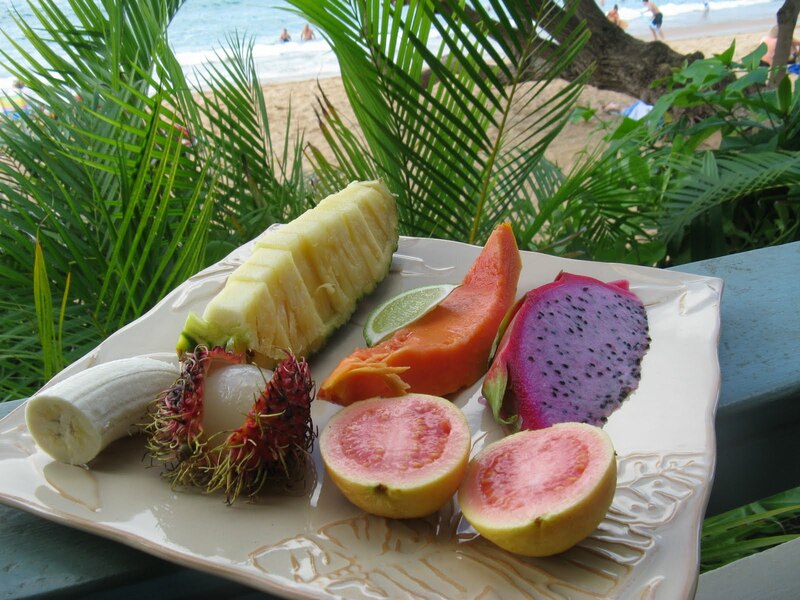 Living in Hawaii we are afforded the great foods of East and West. We all love our mix plates, potlucks of mochiko chicken with grilled steak, and the choice of eating sashimi and eggs benedict at buffets, but some of our fellow US citizens (namely, those invaders called “mainlanders”) don’t always appreciate some of the tastes. Or do they? 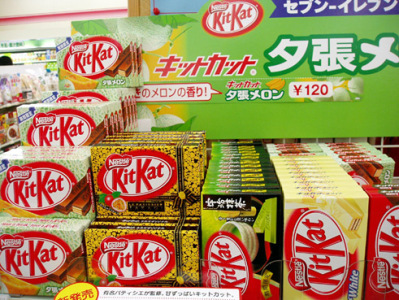 In this recent NPR article several members of the NPR staff try out a variety of Kit-Kat flavors offered in Japan. Many of them like certain flavors and did not find them too bad at all. This is promising because they are fantastic variety of food products that East Asian supermarkets have to offer. Aromatic chicken, finger licking good! For example, Pringles. 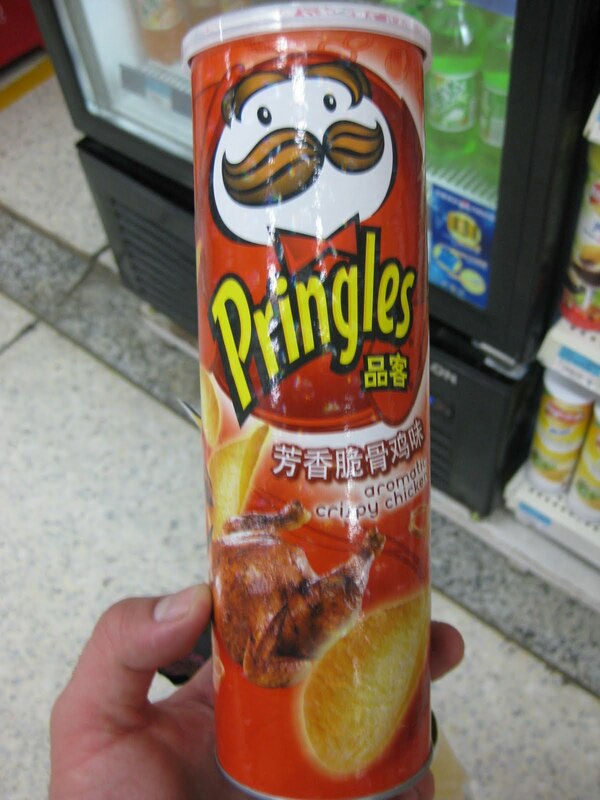 Pringles has an awesome assortment of flavors not found in the USA, but only in Japan and China. Check out all the different types of Pringles here. In addition, in recent travels to Japan yielded this discovery. That link takes you to the website of dessert vinegar maker, Oak’s Heart. What is dessert vinegar? 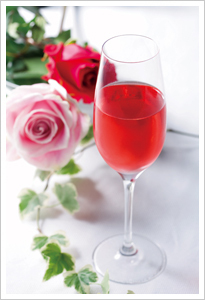 It is this concentrated vinegary solution that you mix with a variety of substances, such as, water, yogurt, champagne, and the like to yield a tart, but fruit infused flavor concoction. Basically, if you like tart flavors you will probably like this a lot. Classy and tart it's like some people I know . . . It would be nice if Westerners would open their palate to the variety of the East, so we could get this stuff in our supermarkets! Anyway, what would you like to see brought over from Eastern supermarkets to ours? But I beat I’m willing to bet none of us is ready for octopus ice cream . . . .
Octopus ice cream . 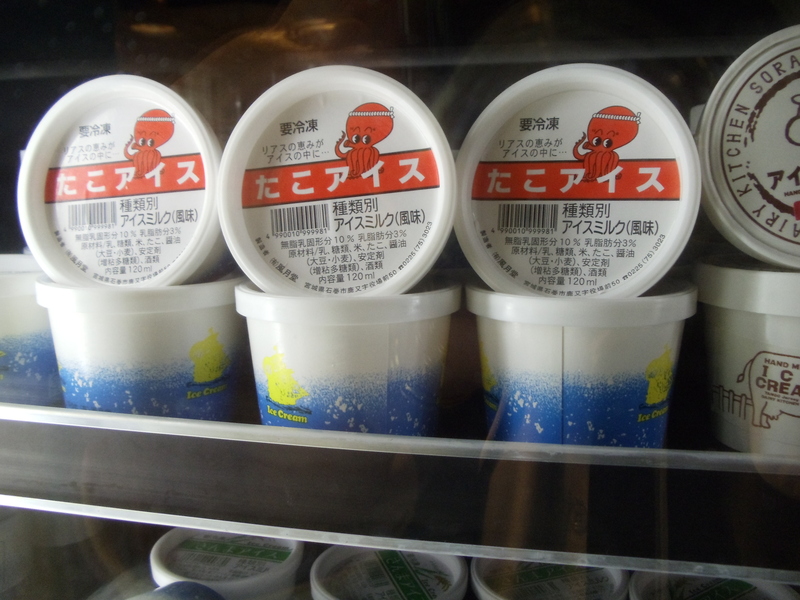 . . just know that the Japanese have hundreds of other flavors that should not be ice cream . . . So many of us are working professionals with a lot of stuff to do and little time to do it. There is even a hard time to squeeze in a nice meal with good friends nowadays. Added to this stress is sometimes the urge to eat healthier. I mean come on face it, it’s hard to eat salad five days a week. Well, in this New York Times article the writer explains about several businesses that have launched in NYC that caters to diets and delivers your meals to you. It’s like a college meal plan plus the capabilities of delivery pizza. I know that some of our members have tried that here with a chef that does such a thing. So would you spend this kind of money? Or do you still rather go out and choose what you want to eat? And while not quite delivery, the Hibachi in Kailua sells marinated foods that you just go in, pick-up, and stick on the grill. It’s that simple. How Big is your Demand for Eating Local? NPR recently published an article about the demand for eating local, and how distributors are slow to embrace the eating local food movement. While food distributors mainly cite safety standards, an industry analyst thinks it has to do more with a costly distribution system. Seeing as we are on an island, and food already is costly, do you try to strive eating local? Basically, are you willing to pay the price of eating something from your backyard or do you enjoy the mass amount of food selection you get from giant, international food corporations? 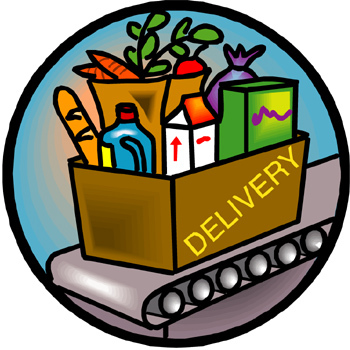 Moreover, do you think it is just a trend or is it the wave of the future for the food industry? Share you thoughts and take our poll below! May Day is laying out new stuff day. HGC dinner event, we are looking at May 14th or 15th at Sapori. Starting dinner around 6 or 7. Please e-mail the club your preference or if you cannot make it. The date may be changed if many people can’t make it. The Club’s bloggers will begin using a shiso leaf rating system. It is a 5-1 scale, where 5 leaves means the blogger highly recommends the establishment and 1 means run away from this restaurant. Thank you once again to our awesome graphic designer. New reviews, our bloggers (Frugal Foodie and Refridgraider) will be updating their blogs this month with reviews and pieces so check back frequently. Also join us on Facebook groups. We also hope to have a twitter account up and running soon!